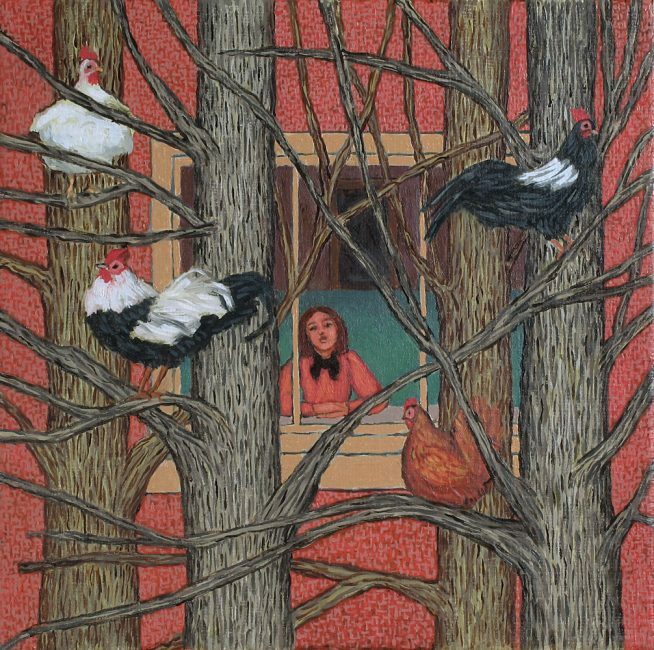 Ann McCay’s paintings convey a sense of space and have a strong narrative element. Settings are theatrical, often portraying man made structures within natural vegetation. The eye is led along paths, through windows and into doorways. The familiar is made strange through the use of intense colour and light. The juxtaposition of images inspires the viewer to create his or her own stories. Ann studied Fine Art at the University of the West of England specialising in printmaking. She moved to Granada in Southern Spain, attracted by the Moorish architecture and mediterranean colour, and produced patterned posters of cities and large batik compositions. Back in London she developed an interest in portraiture, before moving to Shropshire in 1998 with her young family where she has brought these strands of artistic interest together. 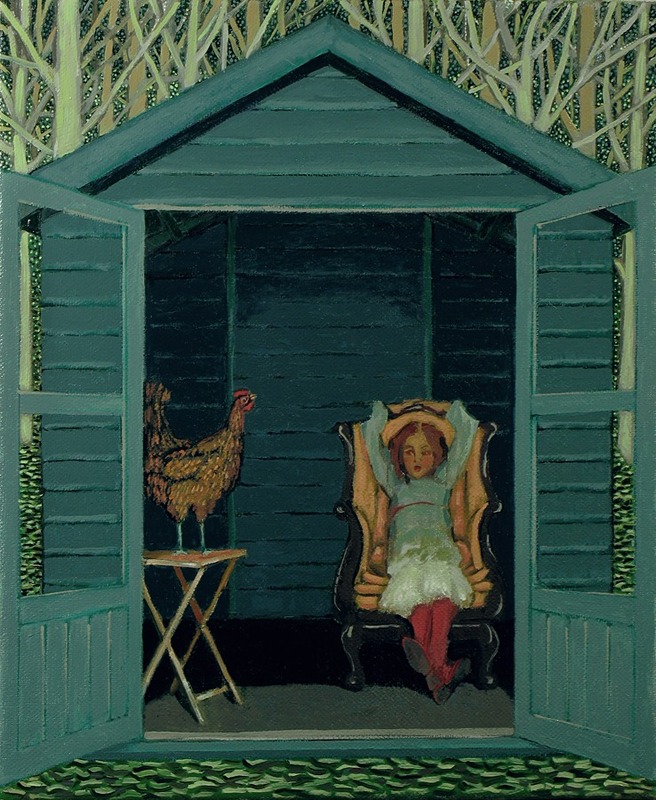 Her commissioned portraits have been shown at the Royal Society of Portrait Painters and the BP Portrait Award at the National Portrait Gallery, and her paintings have been exhibited regularly throughout her career.